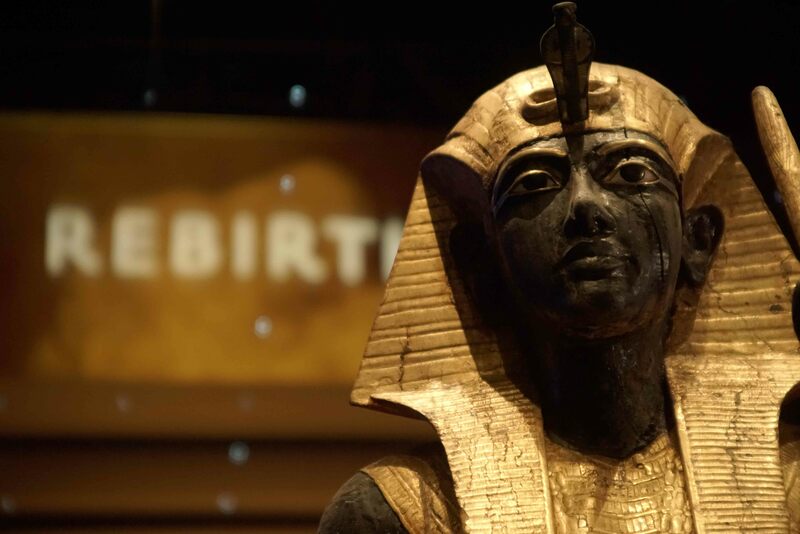 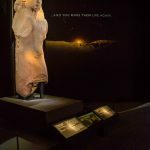 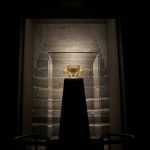 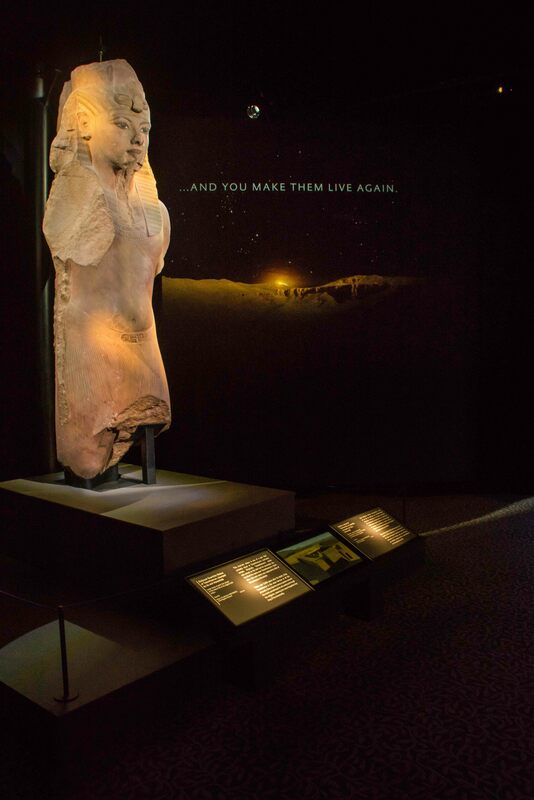 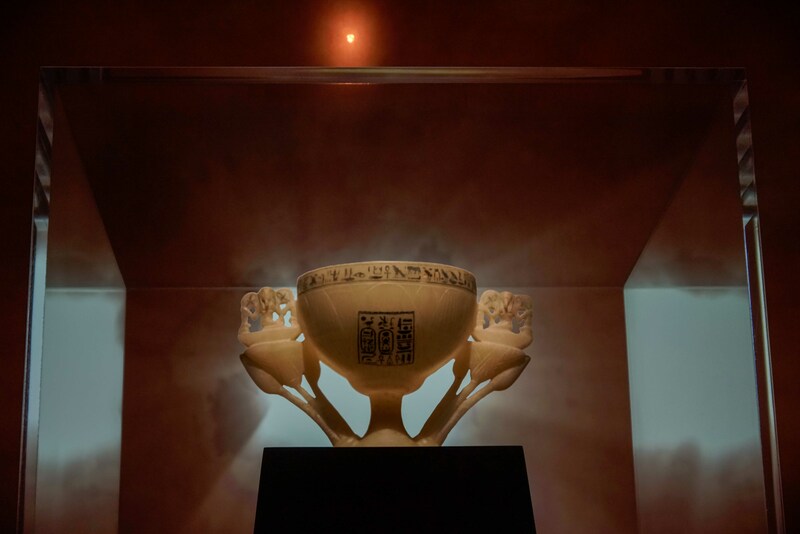 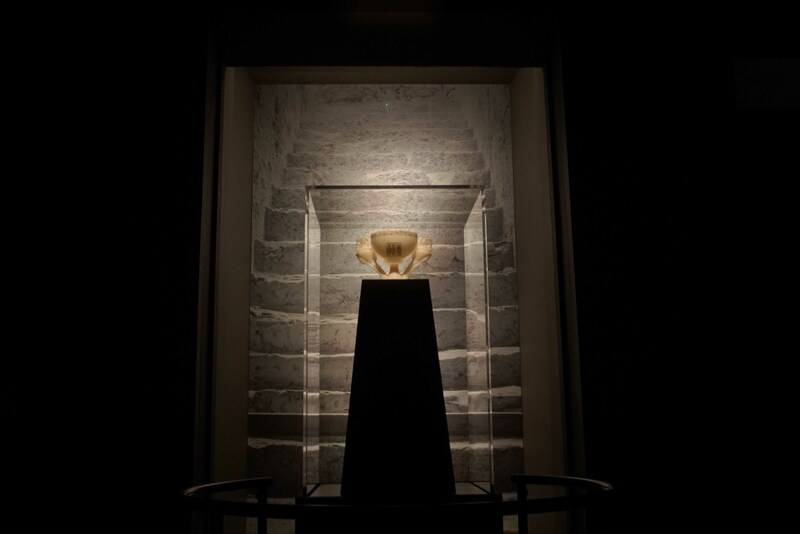 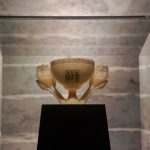 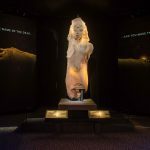 Launched in May 2018, the King Tut traveling exhibit displays over 150 artifacts, 60 of which have never left Egypt before. 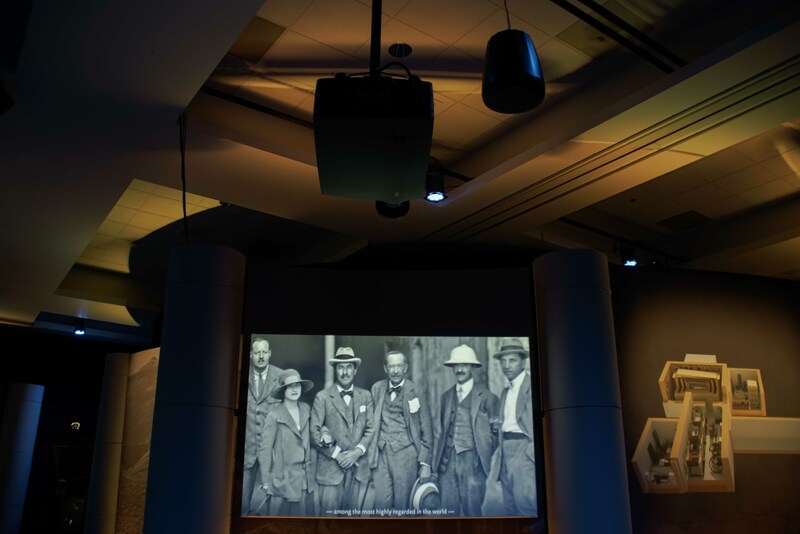 IMG, the exhibit’s producers, required the best in audio and visual technology to enhance the experience for visitors. 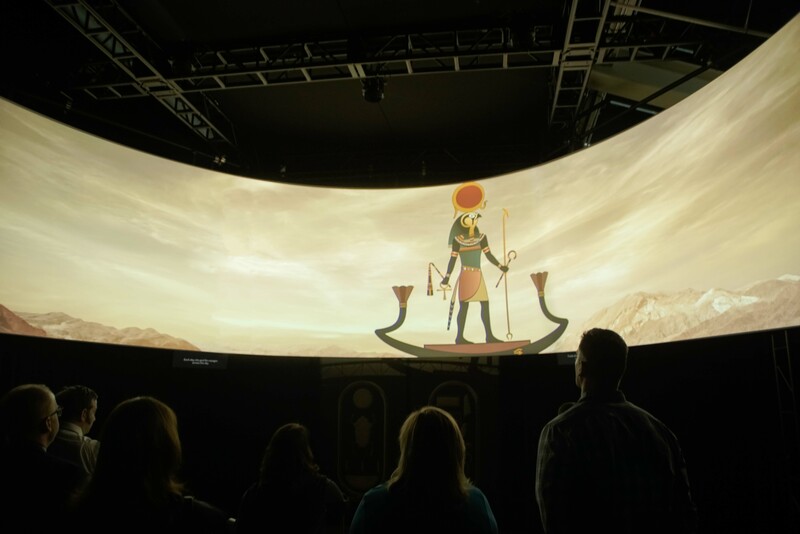 Design Electronics delivered a “fit for a King” media experience. 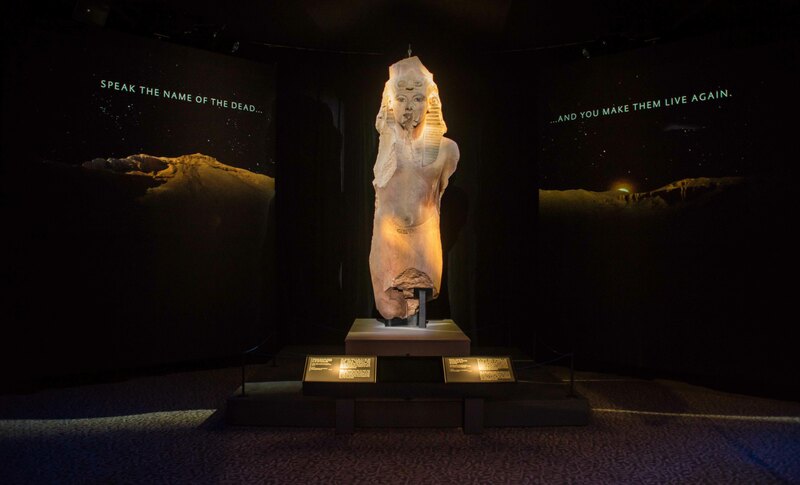 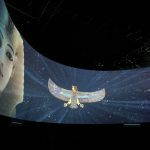 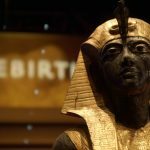 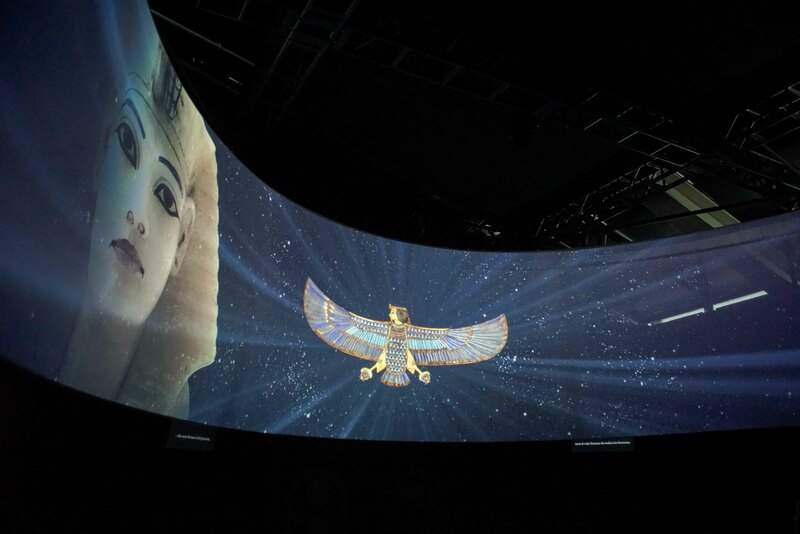 The Niagara Falls based company installed an array of robust advanced audio-video technology solutions, giving visitors and up-close-look at the Golden Pharaoh’s experience. 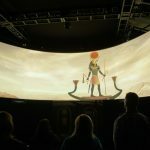 Design Electronics also installed a 23-footwide by 7-foot-high curved and acoustically trans-parent screen that featured edge-blended images from three state-of-the-art F-Series Barco laser projectors. 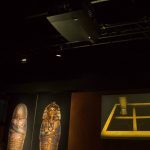 The installation also included a perforated screen so that the audio from the speakers located behind permeated through the audience, giving them that extra immersive impact of the sound emanating directly from the source image. 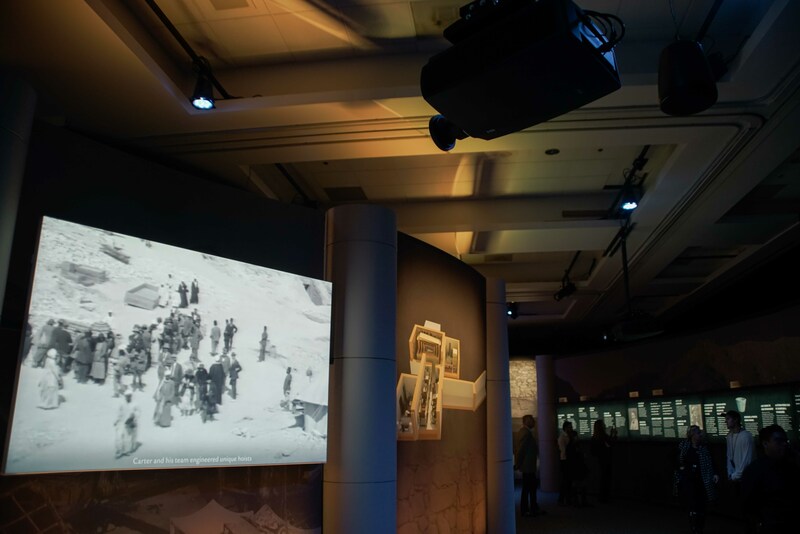 The screen is touted as one of the epic experiences in the exhibition. 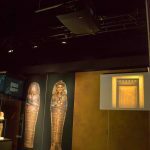 Design Electronics commissioned Strong-MDI to fabricate the custom screen that features a 7-degree tilt that limits the stress of the viewing angle as the screen had to be installed over a door to create a dramatic reveal to the next showing. 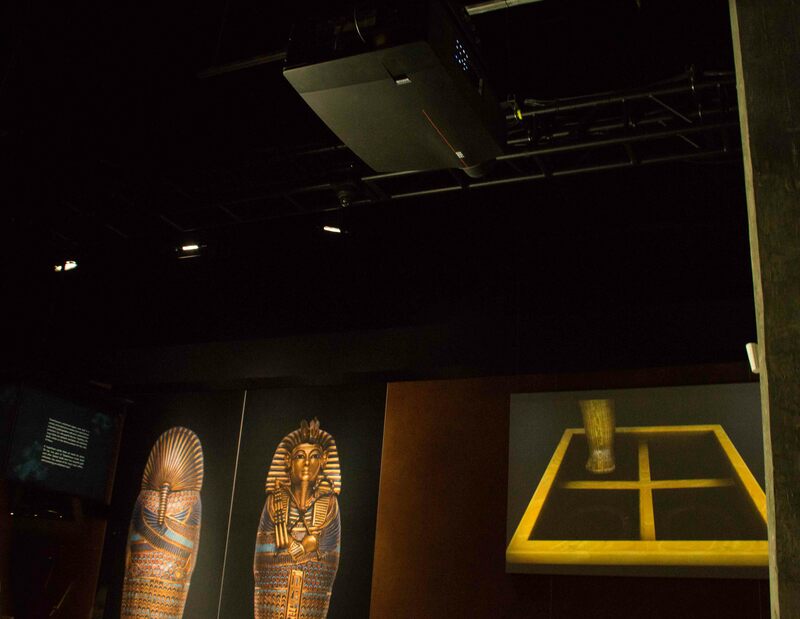 Extensive projection studies were done in consultation with SC Media before the official launch of the exhibition. 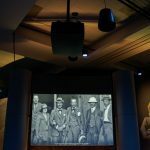 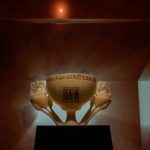 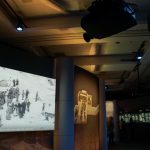 Design Electronics was also given the challenge to network three galleries in order to provide superb AV experiences on different floors of the traveling museum. 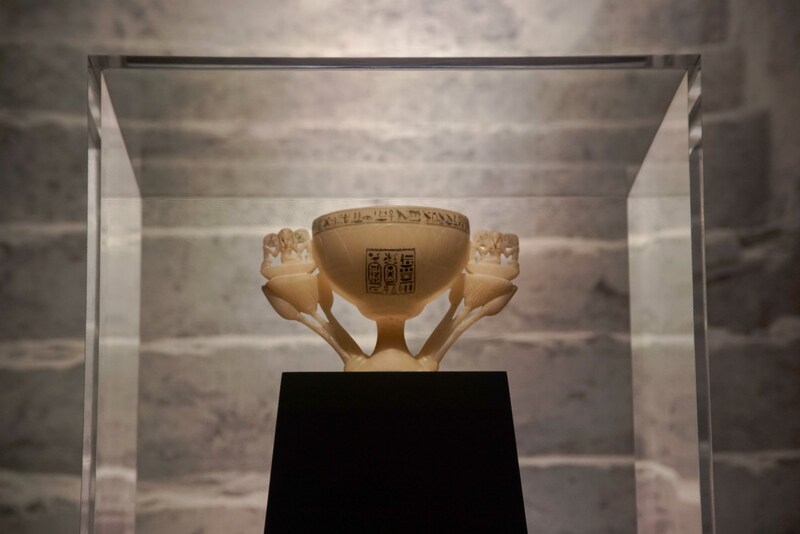 Design Electronics tactfully bridged separate systems via a VLAN on the existing infrastructure, allowing simple end-user operation from a single touch-panel that controls all systems. 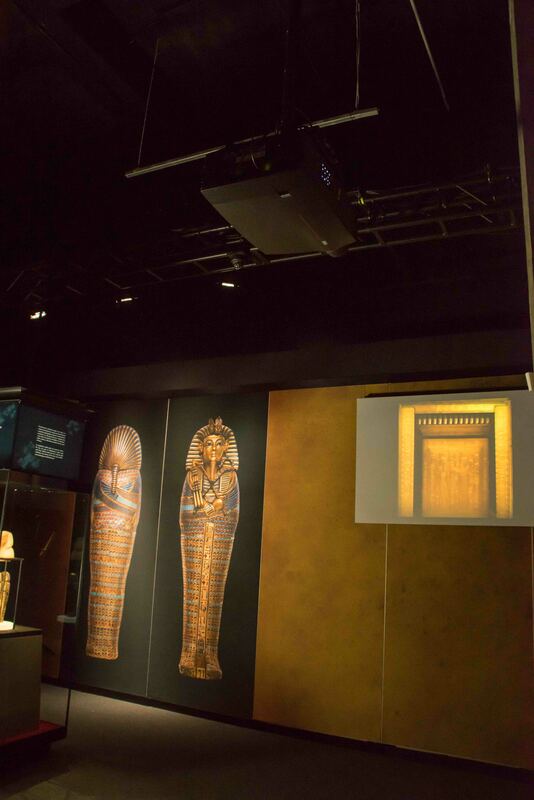 The innovative technology that Design Electronics provided for the traveling King Tut exhibit included: Strong-MDI Screen Solutions; JBL Speakers, Crown Amps, Crestron Control, BSS Audio Digital Signal Processors; BrightSign Media Players; Barco F80 Series Projection; Alcorn Audio Servers; and 7TH Sense Media Player.